The mastermind behind Copenhagen Sparkling Tea Company is Jacob Kochemba – an award-winning sommelier who can also call himself ‘the World’s best waiter’ – an impressive title he won in 2009. Jacob has spent all his life in the restaurant business helping famous venues such as Herman at Nimb to the coveted Michelin star. Jacobs many years of experience and his renowned taste and palette is absolutely the company’s invaluable point of difference as well as its seal of top quality. 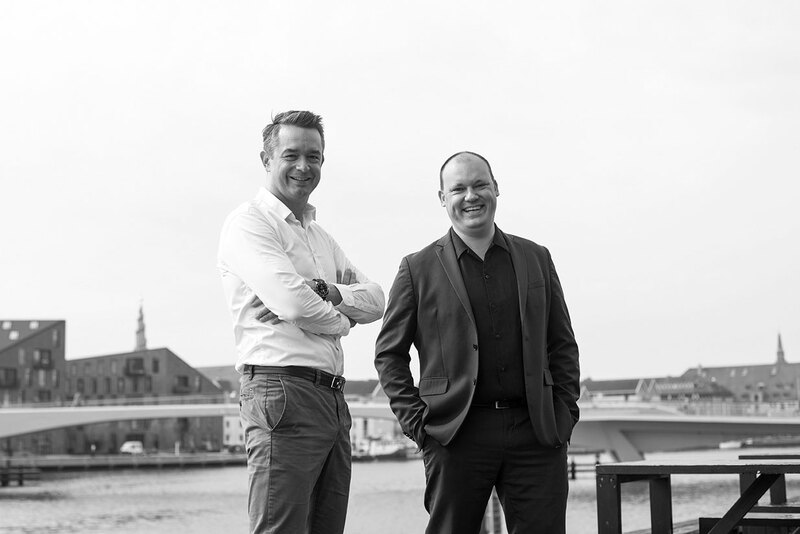 To guide him through the dangerous waters of a new start-up and to ensure a sink-proof vessel for the future, Jacob has teamed up with Bo Sten Hansen – a business savvy senior with an impressive track-record from the likes of Deloitte and PFA Pension where he led a division of 80 staff. Bo also adds a burning desire to succeed and to make a mark internationally with the ground-breaking Sparkling Teas from the city of Copenhagen. As Bo puts it: “We want to build a company founded on Nordic innovation and Asian Tea traditions and serve it from a bottle like Sparkling Wine”. Why did the two decide on a new career working with tea? The fascination was mutual and although the grand idea came from Jacob, it was the vast catalogue of choices, variations and nuances within tea that triggered Bo’s interest. The history of tea goes back thousands of years and has spread from the ancient far east around the world. Tea is a healthy beverage rich on vitamins and antioxidants but it doesn’t have to be a dull choice favoured by nutrition freaks – tea can be fun, too, and our Sparkling Tea will introduce a completely new product and a whole new collection of premium beverages. Tea also plays an important social role in life all over the world but whereas tea-time until now has been somewhat formal and conventional, we are now making it more fun and exciting. Whether you serve our non-alcoholic Blue or one of our alcoholic variations tea-time will certainly not be boring anymore.